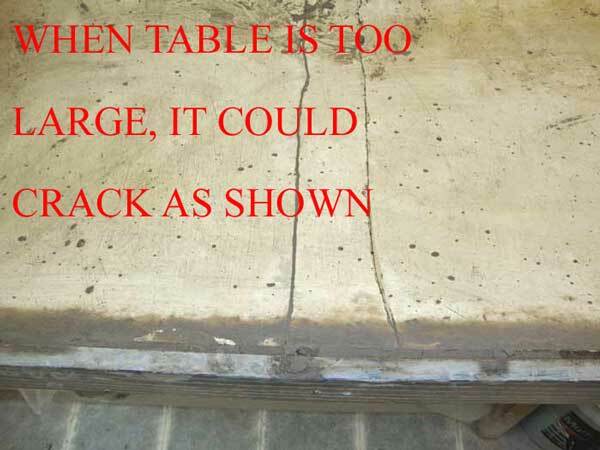 Larger than 30" x 30" wedging table may crack with time. Finished frame ready for plaster-sections are not larger than 30"x30"
A lot of people asked us about wedging tables and plaster molds / casts. 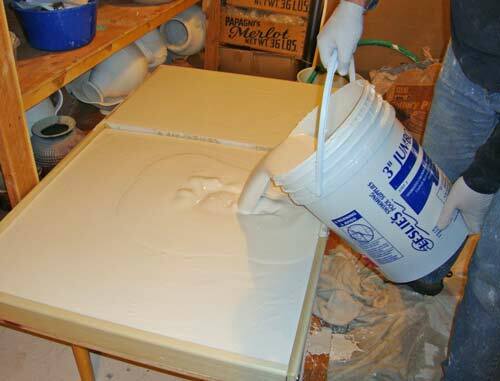 This page will focus on building wedging tables but also will answer a lot of questions about making plaster molds and plaster surfaces for recycling clay. We use our wedging tables constantly 5-7 days a week and have to replace them approximately every four years. Being that we cannot afford down time waiting for the plaster to dry properly for a week or two, we build only the wedging board of the table with plaster a head of time. 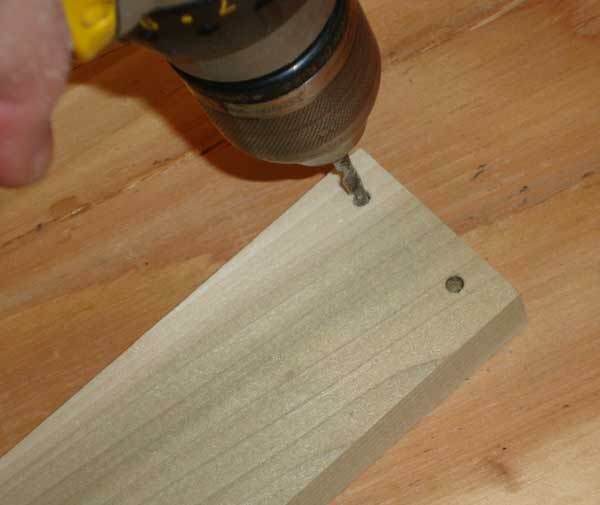 When replacements is needed, we "hot swap" the old with new within minutes (four screws attaching the wedging board to the table) and ready to be used instantly. 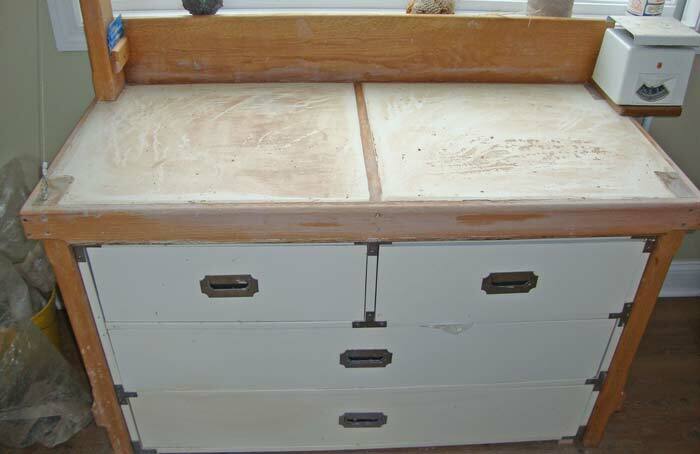 The table where clay is kneaded must be sturdy and may benefit from being screwed to the wall or to the floor. Other design considerations include: Comfortable height (30 -32"), absorbent surface, cutting wire, and sufficient space to set scale. 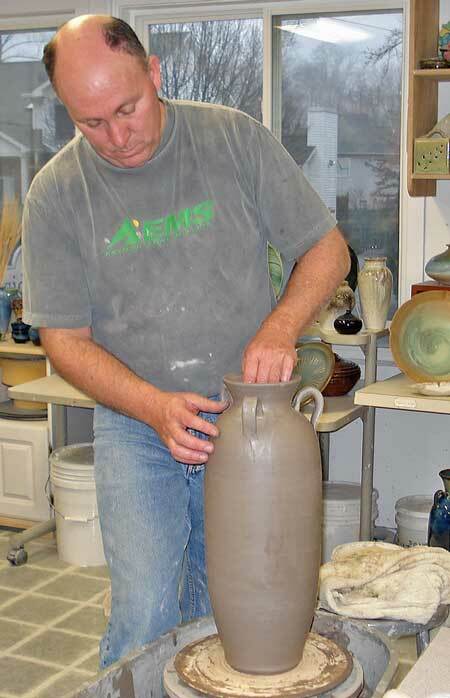 Some potters use the wedging table to dry recycled clay. 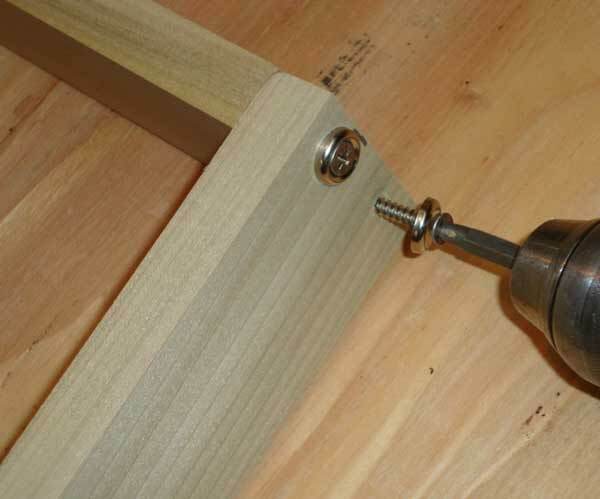 Wedging table wood frame: For our wedging or clay drying tables, we built a wooden frame (3/4" hard wood)** 2" - 2 1/2" deep with a bottom made out of 1/2" plywood. 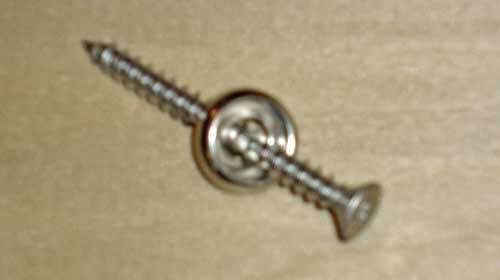 We use hard wood to avoid warping and insure that the screws that hold the frame together are not pulled out with the plaster tension stainless steel screws are preferred and will last longer (wood will be wet the majority of it's lifetime). The plaster we used is "No.1 Potter's Plaster" that comes in 50 Lb. bags. A 50 Lb. bag fills up 1,150 cubic inches. 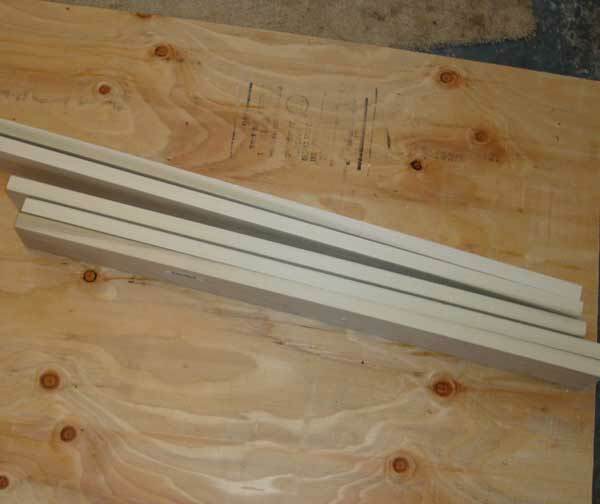 For example; a frame 2' x 2' at 2" deep will add up to 1,152 cubic inches. If the depth is increased to 2 1/2", you'll need 1,440 cubic inches and therefore one 50 LB. bag will not be sufficient. See more details below. A frame section should not be larger than 30" x 30" surface area. Larger section is more prone to cracking as illustrated in one of the pictures on right. Note that the bigger the wedging table, the more you have to be aware of how far you have to carry it when dry and ready for use - it gets really heavy!! 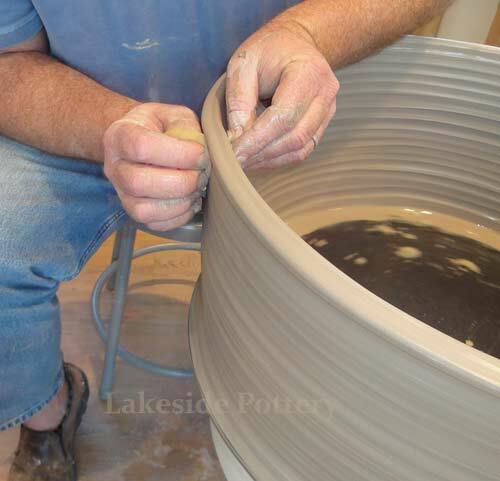 Pottery plaster must have correct water / plaster ratio, mixed / poured properly and with precise timing. 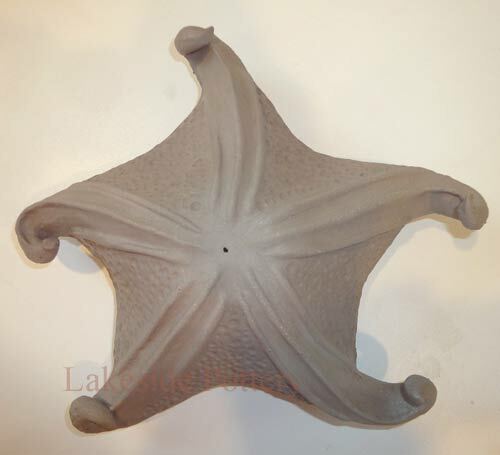 Therefore, the instructions and the data below are important for the quality of the mold and it's longevity. The proper plaster selection is essential. 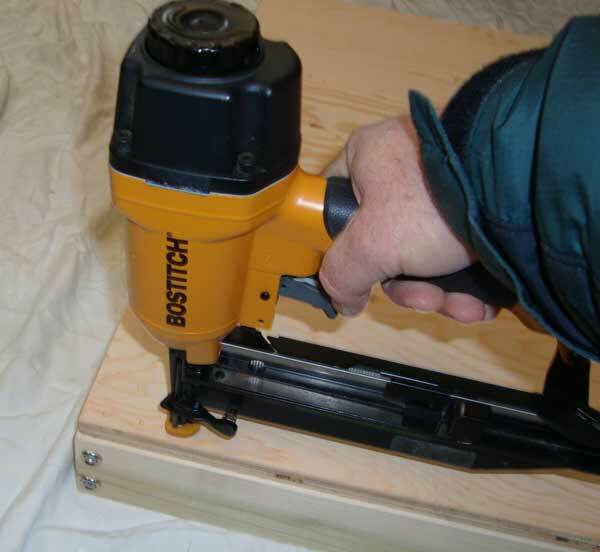 For wedging tables, we recommend using USG No. 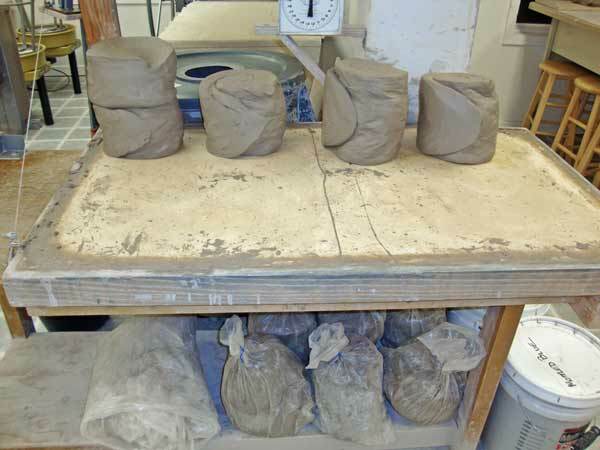 1 Pottery Plaster (comes in 50lb Bags). 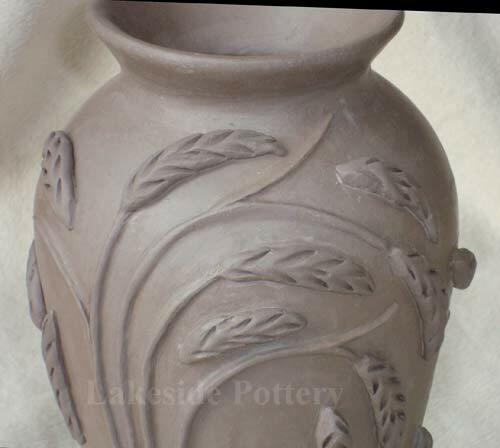 #1 Pottery Plaster is highly uniform, noted for outstanding performance and long life. The standard of the industry - this is the best material available for sanitaryware and dinnerware casting. 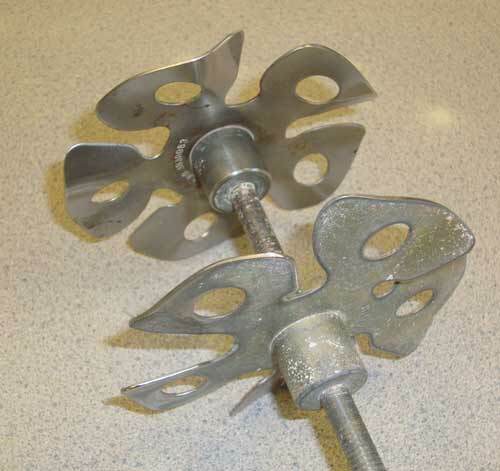 Used for making plaster bats, wedging boards, and working molds. 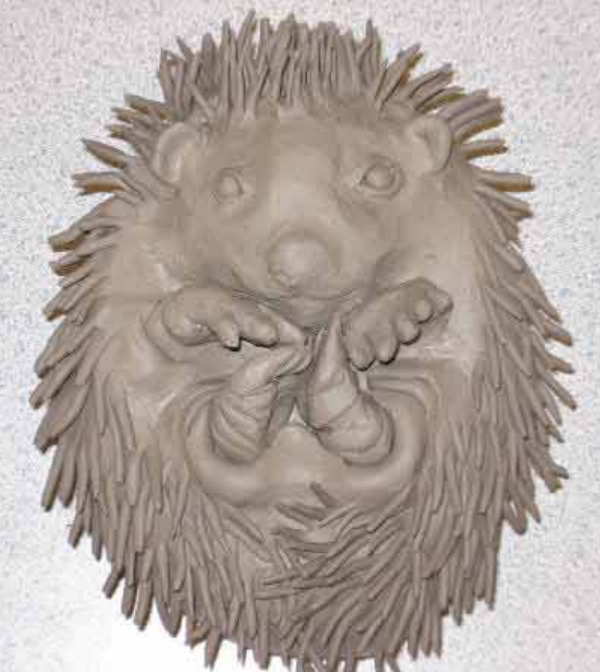 This is a relatively soft plaster which may be used for carving. Note: Wedging tables larger than 30" x 30" might crack with time and a divider is recommended (see pictures on right). Use only clean tap water or distilled water. 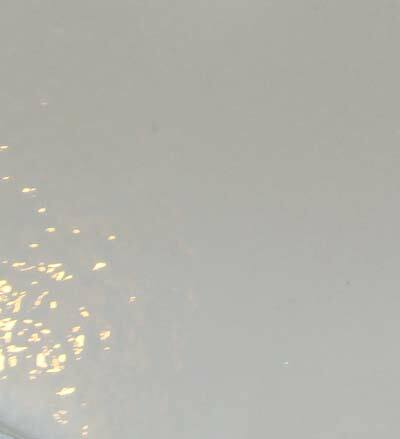 Metallic salts, such as aluminum sulfate, can accelerate the setting time, and soluble salts can cause efflorescence on the mold surface. Variations in water temperature will affect setting time and can cause difficulty in the control of mixing time. The water you use should be at room temperature or 70°F (21°C). If the water is too warm, the plaster will set too fast and vice versa. Use fresh plaster. Plaster is calcined, meaning chemically bound water has been driven off through heating. If the plaster has been sitting around in a damp environment, it will have lumps in it, in which case it is no longer usable. Pitch it. 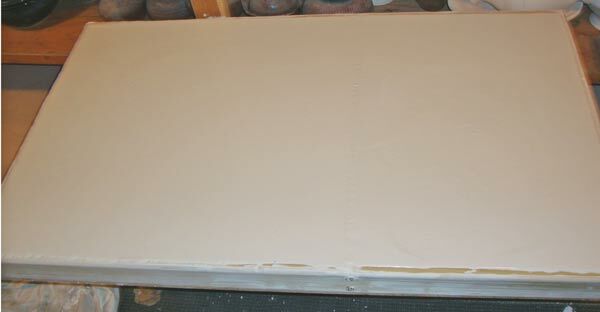 Use plaster that has been stored dry and is lump free. Weigh out materials. Do not guess about the amounts of plaster and water you'll need. Once you start the mixing process, you do not want to go back and adjust quantities. 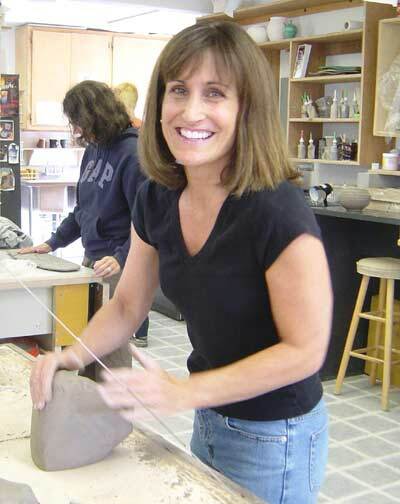 When using Pottery Plaster No. 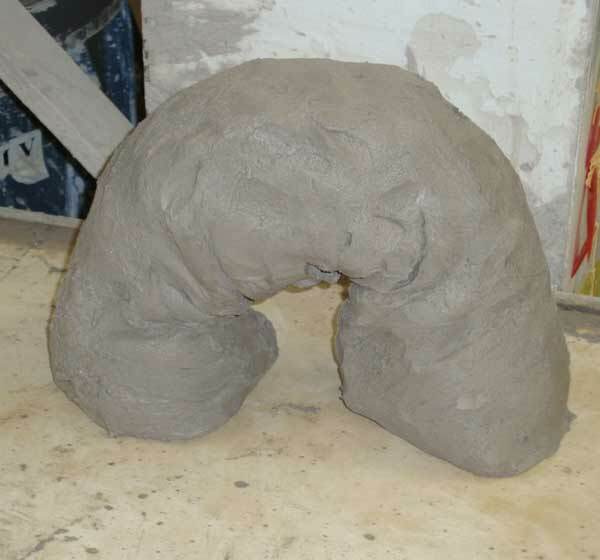 1, mix 70 parts of water to 100 parts plaster. 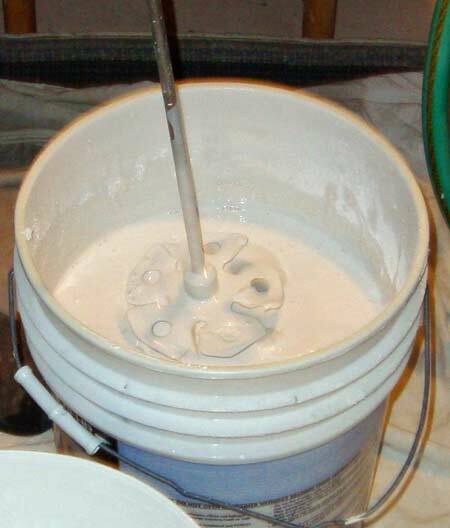 This equals 4.17 gallons water per 50 pounds dry pottery plaster. 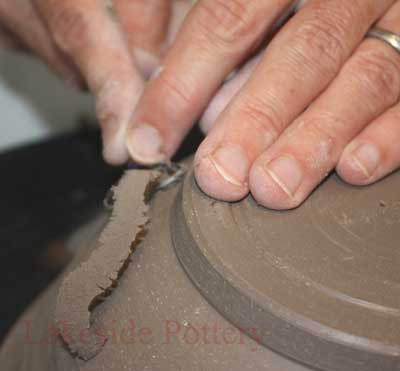 (When using Pottery Plaster Regular, the ration is 74 parts of water to 100 parts plaster). 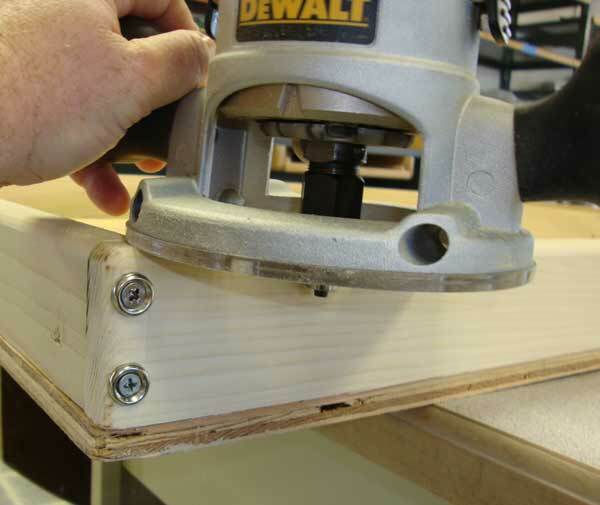 To simplify the above, below are some easy ratios to apply to any wedging table or mold size needed. Also, see table 1 below for a range of selected volume. To determine the amount of water you need, estimate the wedging table volume in cubic inches then divide by 276 to give gallons of water. 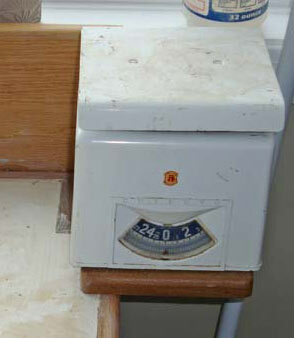 To determine the weight of Plaster No.1 needed, estimate the wedging table volume in cubic inches then divide by 23 to give plaster's weight in Lbs. The above table is based on USG® No. 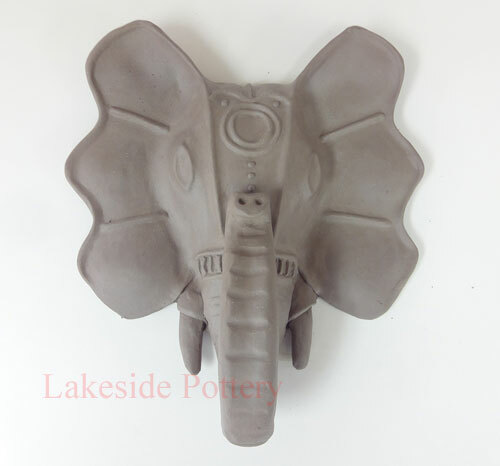 1 Pottery Plaster mixed to a consistency of 70 (70 parts plaster to 100 parts water) recommended for most studio applications. Excessive water yields a more porous but more brittle mold, and less water means a very dense, hard mold that will not absorb water. Add plaster to water. Slowly sift the plaster onto the surface of the water. Do not dump the plaster or toss it in by handfuls. Adding the plaster shouldn't take more than 3 minutes. Soak the plaster. It is important to let the plaster slake. Slaking is the process of leaving the plaster in the bucket with the water to let the plaster itself eliminate air bubbles by soaking. I would usually wait 3-4 minutes depending on the water temperature. The soaking allows each plaster crystal to be completely surrounded by water and it removes air from the mix. Small batches require less soaking than large batches. If the soaking time is too short, it may contribute to pinholes; and if it is too long, it will contribute to fast set times, early stiffening and gritty surfaces. When plaster is wet, a chemical reaction is occurring which produces heat. Protect your hands with gloves. Set-up time is affected by water-to-plaster ratio (less water = faster set-up but decreased strength). Temperature of water (warm = faster set-up), and speed and length of mixing (long/rough agitation = faster set-up). Set-up should be at room temperature without fans or drafts. 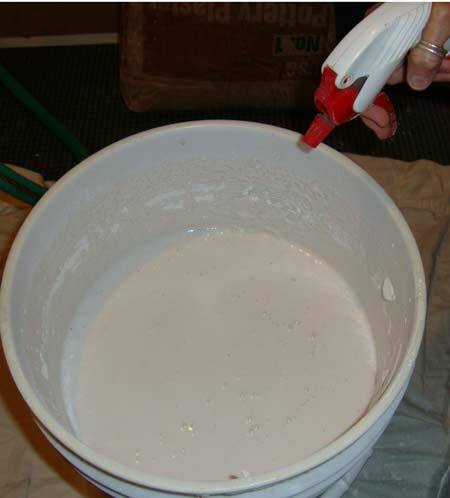 To facilitate clean up, the mixing container may be treated with WD-40 or other release agents. Use a constant motion with your hand and you will notice a change in consistency from watery to a thick cream. Breakdown lumps with your fingers as you mix. Mix only for a minute or two being very careful not to agitate the mixture so much that air bubbles are incorporated into the mix. Mixing time affects absorption rates longer mixing times produce tighter and less-absorptive molds. 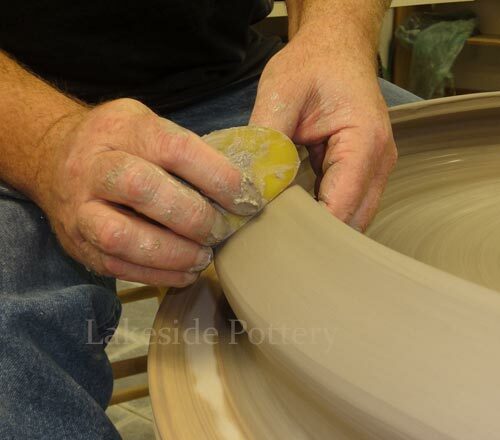 Manual Mixing (not generally suitable for batches over 5 pounds) - using a spoon or wood trowel, mix from the bottom using a side to side motion. Circular motion will cause bubbles. Mix to the consistency of heavy cream. 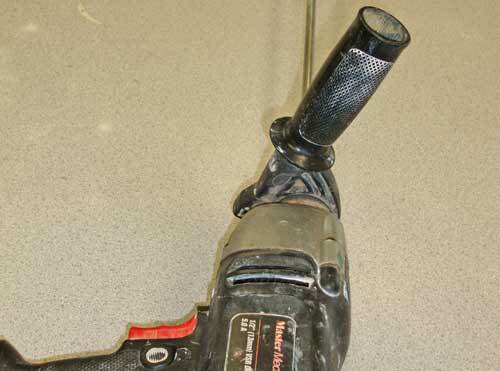 Electric Mixer - Use an electric drill with a "Jiffy Mixer" or equivalent attachment. "Stir" at no more than 1750 RPM while holding the Jiffy Mixer at 15 degrees off vertical. 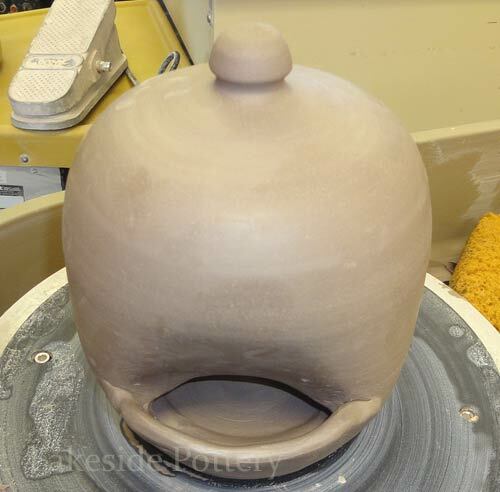 The mixing container should be solidly tapped or even dropped on the floor several times to help air bubbles rise to the top. The plaster is ready to pour when mixing is complete. " 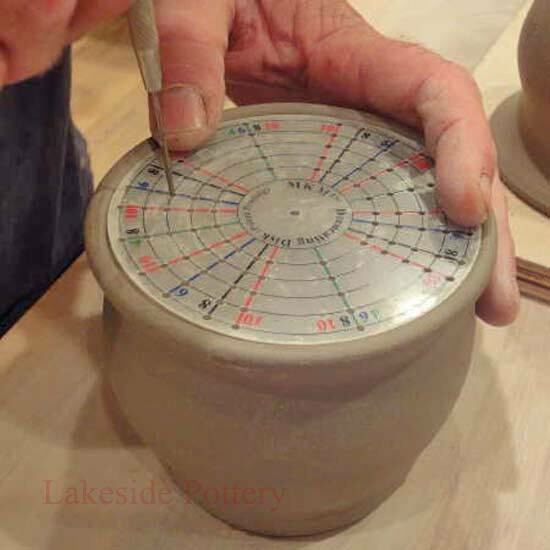 Marking" is a way to determine when it is ready - when a finger is trailed over the surface of the plaster and a slight mark is left in the plaster. 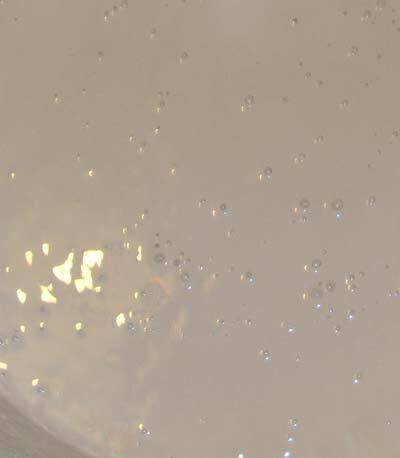 Air bubbles Use Isopropyl alcohol (rubbing alcohol) in an old spray bottle. When the time is nearing completion for mixing shoot in a couple of spray bursts. This has the effect of breaking the surface tension of the bubbles at the surface and you'll see them disappear. Pouring the mix. Pouring should be done in a comfortably quick, smooth, steady manner directed towards the center of the base of the wedging board frame. Shake the table with and pour into a corner of the wooden frame cavity that will not be threatened as much by bubbles that don't make it up in the shaking process. After the pour is made shaking the table a little more sharply and/or vigorously will help bubbles up. 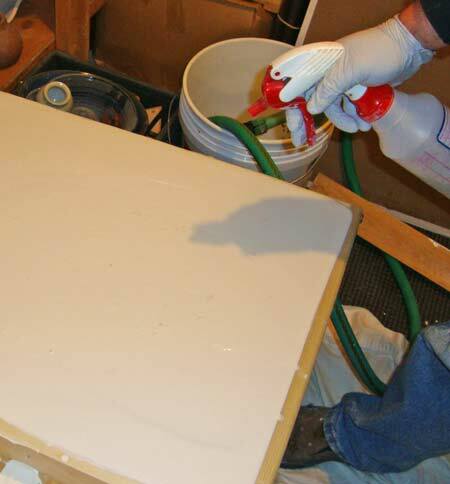 After the pour, another spritz of Isopropyl will help eliminate surface bubbles again. If water rises to the surface after the pour, the plaster has not mixed sufficiently or the water to plaster ratio is incorrect. Mix longer, check your calculations or review the ratio. - If strength is the most important factor, longer mixing times are suggested, taking care not to over mix into the setting action of the plaster, which decreases strength. Clean up. 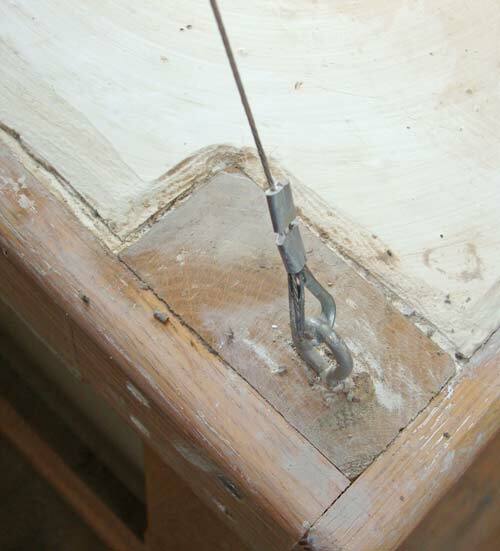 It is much easier to clean wedging table frame, tools and floor from plaster spills and over flaw within the plaster's curing time (15-20 minutes). Do so with damp rags. 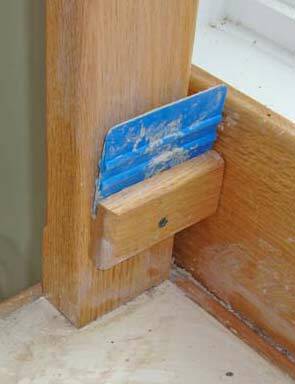 If you miss this window of opportunity, you'll have to deal with scraping and sanding. Bucket can be cleaned the next day when the plaster is cure by taping on the bucket letting the dry plaster break off the walls. Drying time. 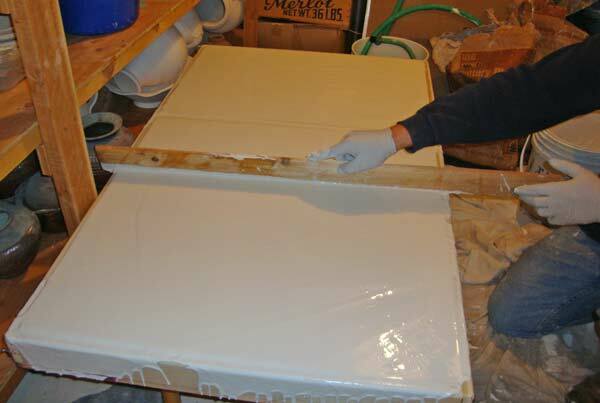 Depends on air humidity, newly made wedging table should not be used for 2-3 weeks to let the plaster dry completely before use. Drying time may vary depending on environment's humidity. Safety and environmental concerns - When mixed with water, this material hardens and becomes very hot - sometimes quickly. DO NOT attempt to make a cast enclosing any part of the body using this material. Control and suppress dust formation, prevent powder or slurry contaminating drains and watercourses. Minimize and control dust when opening bags, mixing powder with water or sanding set plasters. Avoid prolonged or repeated contact with the skin or any eye contact. Wear protective clothing and gloves when mixing or working with powdered or wet plasters. If plaster contact or splashes are likely wear safety goggles. Gypsum based preparations are not known to have high potential to damage the environment. No known available evidence indicating adverse toxicological health effects for acute toxicity, corrosivity/irritation, sensitization, repeated-dose toxicity, mutagenicity, carcinogenicity, or reproductive toxicity. Inhalation  Plaster dust may irritate respiratory system, no known long term effects. Ingestion- Small amounts of plaster or wet mix should not cause any significant reaction or long term effect. Skin contact- Plaster powder may dry skin leading to irritation if contact is prolonged or skin is sensitive. Eye contact  Powder or wet mix splashes may irritate by particulate in the short term. APPENDIX 1 - What is Plaster? Plaster is a relatively harmless dry powder made from Gypsum Rock (calcium sulphate) CaSO4 2H2O. The mineral Gypsum is commonly found throughout the world. There are vast deposits in the United States and Canada .Gypsum is white or pale grey in color and occurs in sedimentary beds or veins. Veins of Gypsum range in thickness from a few feet to 30 feet thick. Gypsum rock is 2 in the hardness scale, it can be scratched with the fingernail. It has a wide range of uses. As a product called Snow White filler it is approved for food and drug use. It is used in plastics where finesse/whiteness are most critical. Gypsum as Terra Alba is used in flour, baking powder, pills and breweries. It 's uses as a building material and as a craft material are well known. Plasters and their harder brethren, gypsum cements, are manufactured from naturally occurring, high-purity gypsum deposits. The gypsum is finely ground and the chemically-bound water is then removed through one of two calcination processes depending upon the type of plaster desired. The calcination process is one of heating the finely ground material which removes the chemically-bound water which then results in a different independent crystallline structure. The manufacturer controls the process to achieve different size and shape crystals which then results in different final characteristics. The term "gypsum cement" refers to harder and higher strength plasters manufactured by using heat and pressure. Industrial plasters require 65-160 lbs. of water to 100 lbs. 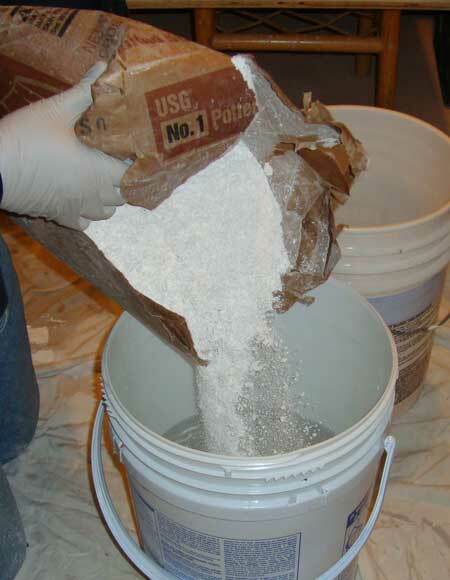 of plaster to make a workable slurry whereas gypsum cements require 22-45 lbs. water to gain workability. With the reintroduction of water to any plaster, a new interlocking structure of needle-like crystals forms. This is a very complex process with many variables affecting the outcome from the grinding and calcination process to the reintroduction of water. Each step is critical to achieving the desired end product. 2-Plastic stage. 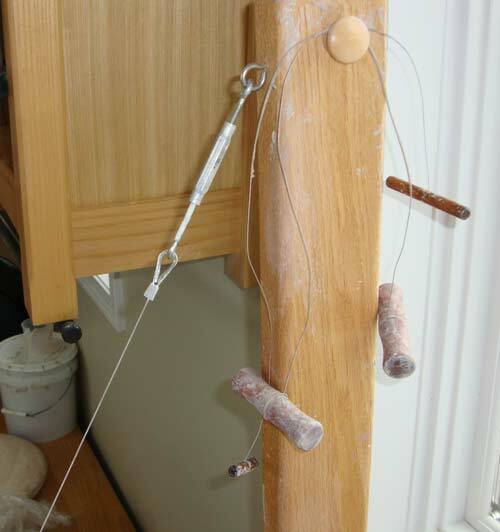 This is the "workable" stage when the plaster can be manipulated as desired. 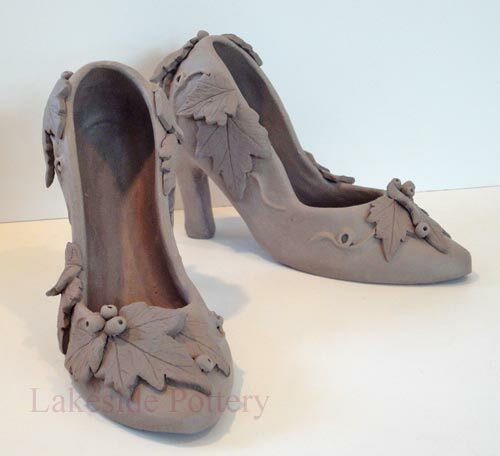 It can be hand modeled, paddled or carved to desired shapes and forms. It is very important to use the proper plaster or gypsum cement for the specific application and it is important that it be fresh and mixed properly. 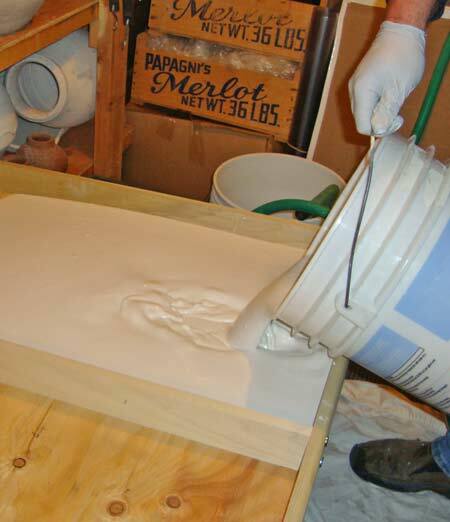 "Plaster of Paris" from your home supply store is not suitable for most ceramic applications as it may lack the strength, hardness, absorption and/or structural integrity needed. The shelf-life of quality plasters is approximately 6 months. It must be kept dry, preferably in a sealed container off the floor (it will start to "set" just by picking up moisture from the air). 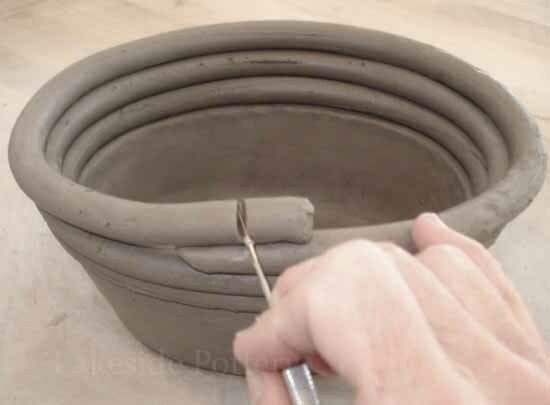 Also, it is a powerful flux at high temperatures, so be very careful to avoid any contamination of clay with even a small amount of plaster. Plaster pieces are generally not suitable for applications exposed to water such as fountains or outdoors. All are very fine plasters and pick up detail very well. Long ago people figured out that if they heated some kinds of rock they would break down (the rocks not the people). They found that gypsum rocks broke down at a much lower temperature than the other rocks. If they crushed those crumbled rocks into a powder and added water to make a paste or slurry, that paste could be used to cover their walls because it hardened up rock hard again. This nifty idea caught on and soon people were making plaster cows and whatever other ideas they could come up with. This plaster stuff has really caught on hasn't it. Yes, it's one of the safest and easiest materials to work with. A minimal health risk from using this product could arise from nuisance dust possibly inhaled during the mixing stage. An exhaust fan or a simple filter mask will resolve this concern. As far as mixing the common industrial plasters with your hands or applying them with your hands the risk is low here also. The worst they may do is dry your skin through constant use. The gypsum cements that contain additives such as polymers should be handled judiciously just as you would craft paints or any other craft products. (As with all products there will be a minute percentage of the population that has a reaction. You may wear rubber gloves if you think this may be a concern for you.) Because of the different stages plaster goes through in curing, it can be manipulated in many different ways. 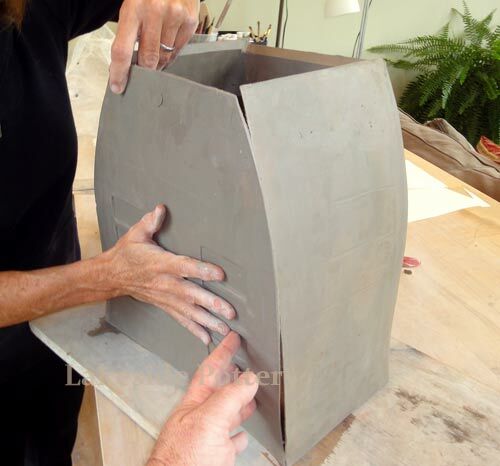 It can be poured into molds as it is in the plaster statuary business, applied with a spatula as in direct sculpting, carved as in plaster model making or polished as it is in the application of Venetian plaster walls. How do they make this stuff ? We're not still sitting around the campfire heating up rocks are we? While the basics are still the same we do not use sticks and stone knives to scrape up the raw gypsum anymore. Nope! In the open quarrying process called strip mining, massive earth moving equipment and scrapers first remove the clay and shale overburden. The bed of gypsum rock is then scraped clean, drilled and blasted loose. This produces rock of suitable size for loading into large haulage trucks. The gypsum rubble is then transported to the crushers where it goes through various pulverizing processes. Grinding and grading of the rough mineral rock takes place there. Small harder pieces of aggregate will be found in the powder after the initial grinding stages. At the United states Gypsum Company these are sorted out to be made into Hydrocal cement. When the crushing processes are complete the gypsum rock leaves the crusher as a smooth fine powder. Calcining. "Is it soup yet mom ?" This gypsum powder is transferred into huge kettles which hold 30 tons of material. The calcining now takes place in the kettle as the material is heated and stirred. After a carefully monitored length of time in the kettle at an exact temperature,(120° to 130° for the kinds of plaster we use) the material which is now plaster is removed. Controlling the temperature has different effects. A temperature of 194° produces a material used for flooring. To long a time in the kettle at to high a heat will produce a material called "dead plaster". The properly calcined plaster is ground once more to a very fine consistency and packed into bags. The special gypsum to be made into HYDROCAL is heated under pressure. This gives it a different cellular structure which is the reason for it's greater strength. O.K. Boil this all down for me, what do I really need to know? The important characteristic about Gypsum rock as far as we are concerned is that when it is heated over 120° to 130° it's structure breaks down. (It has to be heated long enough to drive out 3/4 of the chemically bound moisture to do this. ) The gypsum rock is ground into a powder. It has now become plaster. 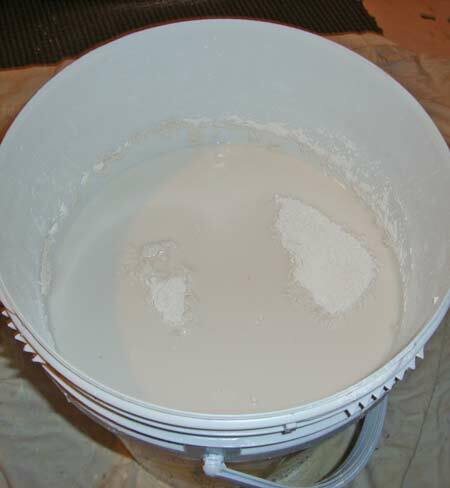 Mix the proper amount of water with the powder and it turns back into gypsum. Heat the gypsum to 120° again and presto change-o we have plaster again. Anyone who has ever dried a plaster statue at too high temperature for too long a time can attest to this unique characteristic. The statue will be full of cracks and will fall apart if handled. The short and skinny of it all is, when gypsum rock is calcined, ground into a smooth powder it then becomes plaster. It is packaged in bags, shipped to your local supplier and is ready for you to use. It is a safe, inexpensive product, open to worlds of creativity. 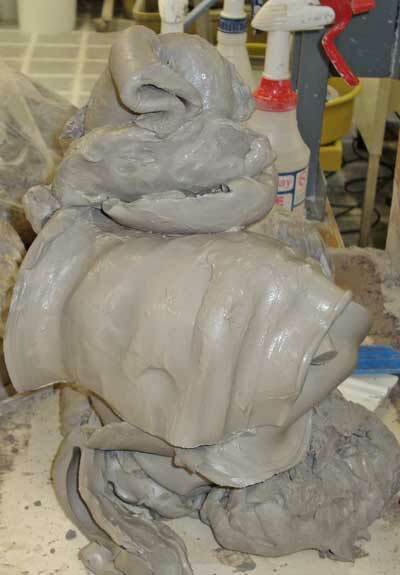 When you pour a plaster statue or mix a large batch of plaster a chemical reaction takes place during the setting process and the cast plaster heats up as it hardens. The larger the volume you cast, the more it will heat up. Temperatures may reach 150° deep within the mass of a large casting. .Do not encase any of your body parts or anyone else's in plaster! There is the definite danger of burns, not to mention the embarrassment of having to go to the emergency room to have a block of plaster chiseled off a part of your anatomy. Believe it or not people have written to me about this very experience. Can I make my own plaster? #1 MOULDING PLASTER - Often referred to as “plaster of paris” or soft plaster. Used for waste molds or temporary patterns where surface hardness and strength are not important. Screeds well under template. 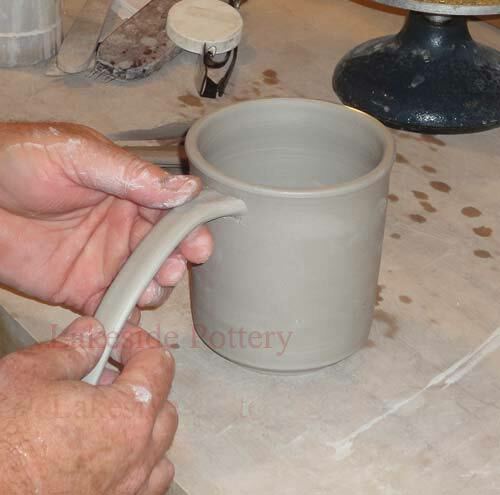 POTTERY PLASTER REGULAR - General purpose product recommended for most slip casting applications in the ceramic industry. More fragile and softer than #1 Pottery Plaster. Set Time (Machine Mix) = 14-24 min. 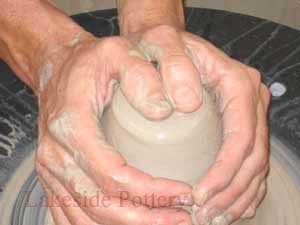 No.1 POTTERY PLASTER - Highly uniform, noted for outstanding performance and long life. The standard of the industry - this is the best material available for sanitaryware and dinnerware casting. Used for making plaster bats, wedging boards, and working molds. 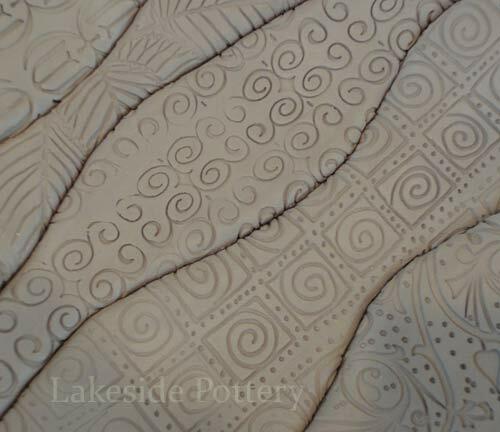 This is a relatively soft plaster which may be used for carving. 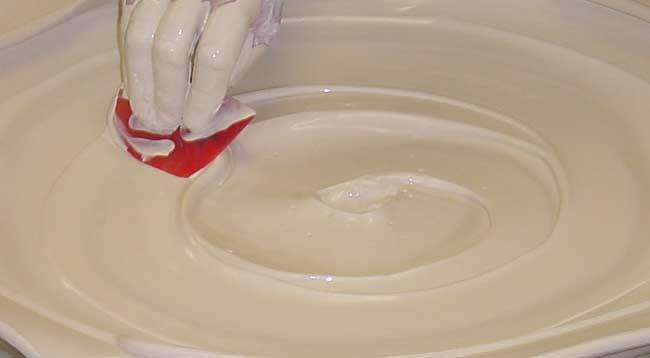 CERAMI-CAL - A low-consistency form of HYDROCAL Gypsum cement compounded to produce a dense, smoot- wearing die material for pressing clayware. Characterized by low absorption, high strength, ability to purge easily, and resistance to abrasion and wear. Specifically for use with the RAM automatic clay-forming process. Available in regular and export bags. DURAMOLD - Created to meet the demanding needs of the slip casting industry. 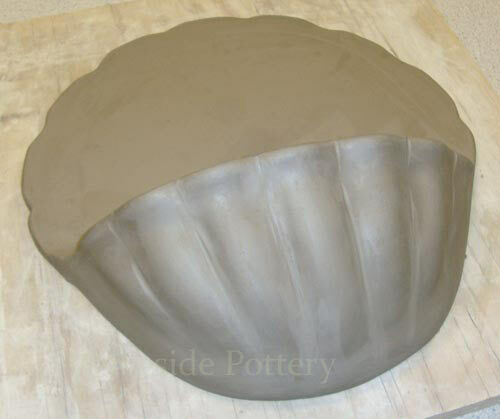 Compared to #1 POTTERY PLASTER, DURAMOLD features longer mold life and higher wet and dry compressive strength. FAST CAST - A fast-setting grey cementitious product for casting freestanding outdoor statuary and figurines. Can be demolded one hour after set, allowing much higher production rates than conventional cements. Designed to be mixed with sand - consult product literature for additional information. GARDENCAST - Similar to FAST CAST except a white-colored product to be used with white sand. Consult product literature for additional information. 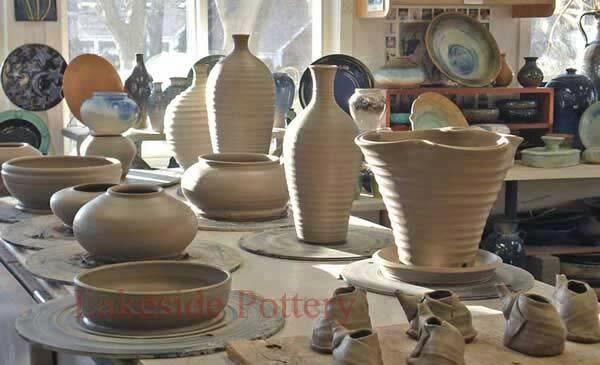 Sources: Lakeside Pottery, United States Gypsum (USG) Company and Clay: A Studio Handbook, by Vince Pitelka, published by The American Ceramic Society, 2001 and more.